Apex Mold Specialists is a highly certified, insured and qualified environmental assessment and consulting company, committed to helping its valued clients to create a clean and healthy indoor environment. In addition, our technicians have gone through extensive training through ANDO International Organization in Mold Inspection and Abatement Procedures and Hazardous Materials protocols. Our technicians are state licensed Air Sampling Technicians as well. We specialize in helping our clients discover, document, and understand indoor air quality and mold related issues. We offer a variety of environmental solutions to residential, commercial and governmental clientele. Apex Mold Specialists began it’s foray into building related mold issues by initially being a consulting and remediation company, specializing in water damage and flood restoration issues. Generally speaking, water damage, if not promptly addressed, creates a variety of mold and bacterial issues on structural and surface materials. The instrumentation and equipment, used to address water issues is also directly applicable to all mold issues. Apex is one of the best equipped mold abatement companies in the ‘tri-state’ area. In addition, we have the ability to address any of these issues regardless of the size and scope of the project. 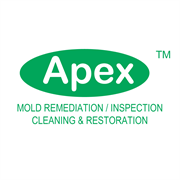 Apex Mold Specialists has been in business for over two decades and was one of the first established companies to address mold issues in the ‘tri-state’ area as an addition to its role in water damage abatement issues. Our company has successfully addressed an enormous amount of mold abatement issues, in our work history. In addition, we are staffed with the most professional environmental specialists in the industry who are highly trained, certified and experienced in assessment of indoor mold environmental problems, remediation and restoration. Do you own Apex Mold Specialists? Due to the unique way that the eBusinessPages Business Directory is structured a Premium + Verified Listing is the most powerful way to get more clients to contact Apex Mold Specialists. Not only will your listing be more noticeable and more trustworthy, it will also be displayed more prominently in our category (Water Damage Restoration-Residential and Parent Categories) and location (Brooklyn, NY and USA Wide) listings. Apex Mold Specialists will be displayed in your competitor's listings while no ads will be shown in your own listing. 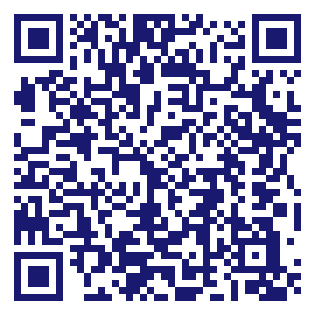 Starting at $2.78 for a Premium Verified Listing, there is every reason to give Apex Mold Specialists the eBusinessPages Premium treatment today.